We all know that The Journey is a new addition to FIFA 17, which is also greatly innovative. Although the Ultimate Team is still the game mode, The Journey will be a forceful thing to compete in the future. So in this passage, here are tips to help you walk through The Journey as you're playing as Alex Hunter. This time, we don't talk much more about The Journey, as its details are known to us. Alex Hunter is a character in this and you game players control his life on and off the pitch to complete the ultimate glory. Before sharing the guide, here are some basic things you should know. First is about the skill traits, the more you play and train, the faster he can move up a level. Certain Traits improve particular skills, while others grant Alex a specific skill. Second is something about teams, you are able to choose from any premier league club, championship clubs are included (Aston Villa, Newcastle United, and Norwich City). 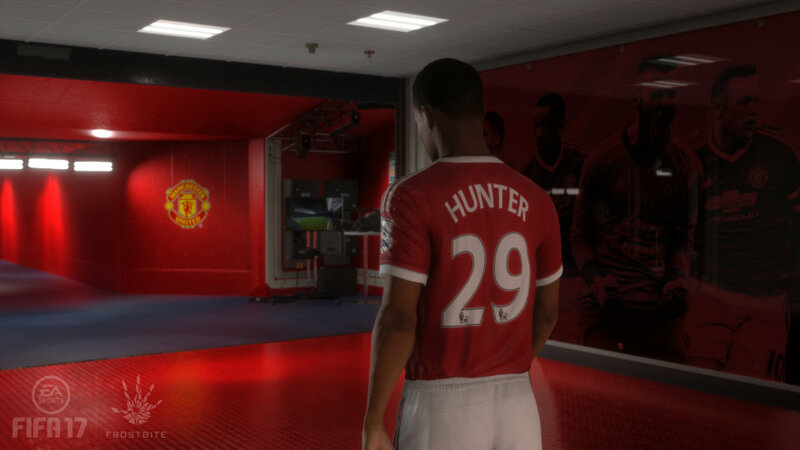 But Alex Hunter is only for Manchester United. The third thing you have to remember is that having a good relationship with your Manager, to increase playing time, and have a good follower count, to improve sponsorship deals and the like. Then let's check the tips below. Pick your favourite Premier League club first, then you'll both need to succeed at trials to make it pro. This mode aims to finish in the top 11 of players during a practice match, the top 10 after training session and top 10 in the final practice match. Then the possible best position - CAM position to get involved in across the four potential positions, stay active and involved. Be careful of defense, kick back, get off a long kick, and do whatever is necessary to release the ball out of defense when the opposition is attacking. You have the ability to pick from 20 clubs, but there are some things you shall bear in mind. First, a big club will limit your playing time even though it will offer you more money and possible success. If you are experienced to the game, choosing the smaller club may be a challenge; if you are new, it's better to choose the big club as it have the fan base. This is where you can work to improve your relationship with teammates, and earn your spot on the pitch at the start of a match. Training is more important when you start at a small club, as it really dictates your place in the team. No matter how good your performance is, you'll start on the bench at a big club and trainning well can improve your relationship with teammates. Maybe you will be sitting on the bench at first few matches, but once you've complete the objectives set by the manager, and you'll be starting matches in no time. You have three goals, two of these will be based around your individual performance, which are related to scores. Your team will need to win to get a perfect 10 in the team-based objective. There thins you need to do when Alex Hunter is relegated to the Championship. First, complete all drills three times, and train well. Second, make use of game section, take the chance to prove your value. Third, you'll need an A rating in pretty much everything you do in order to get a recall. Besides, other tips are expressed to help you on the way. One, take care of Alex's relationship with the manager. The more you play, the more your player will learn, and the more flexibility you have to improve. Get on the manager's good side, and eventually the sponsorship deals and fans will come. Two, play as Alex and only Alex during matches. It's much easier to get a good match and managing rating when playing exclusively as Alex as opposed to controlling the whole team. Last, improve Alex's skills. These tips are offered as references when you are playing The Journey, which you have to keep in mind. And if you got better ideas, share with us. FIFA coins is necessary in the game. Thus you can buy FIFA 17 coins at u4fifa.com, which can be trusted and provide suggestions to your problems.